Although we celebrated Michaelmas over the weekend with friends, we couldn't let the actual feast day pass without at least mentioning that Michaelmas actually falls today. The kids were greeted by a Michaelmas dragon on our board this morning. 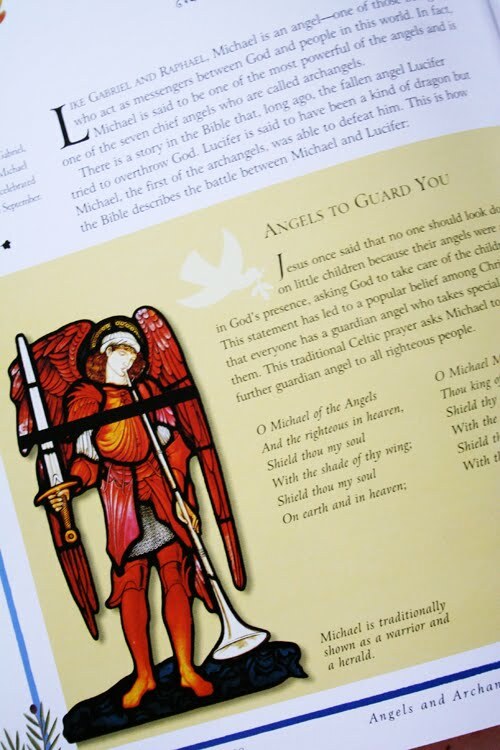 And we spent a few minutes reading about and talking about the archangel Michael during breakfast this morning. I actually think it's kind of nice to have the festival on a different day because it seems to allow for more discussion without the distraction of anticipatory excitement. As for my WIPs, I completed Finn's socks a few nights ago. Socks and slippers seem to thrill him so his excitement over the socks completion was so cute to watch. You can see a better picture of the actual color of the socks here. I really like the white flecking in this colorway. I made these socks a 1/2 inch bigger each in the leg and foot to accomodate for growth so they're a little bigger than the last pair. Doesn't he look sweetly proud of his new mama-made socks? 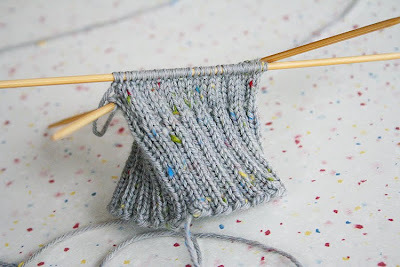 And I started another pair of socks, for the hubby this time. I really to finish up a few things and stop starting new projects for now! Love the pride he shows in his mama-made wear. I am working on a Christmas gift for a dear friend who has relocated to Ontario and needs a lap blanket for the upcoming winter. Happy Michaelmas to you Joy! I adore the blue socks and the colour of the yarn in the last photo is beautiful! I am still busy on my Aestlight Shawl and dyeing up Alpaca pencil roving. Happy Michaelmas! Those socks that you made for Finn look wonderful. I want to attempt my first pair of socks sometime this winter. Shirt for myself! 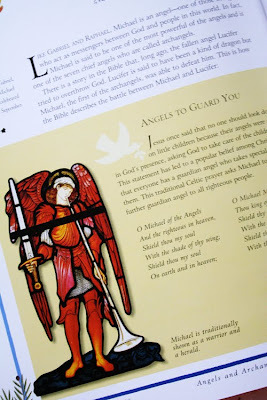 Happy Michaelmas! Love the "cork board"! 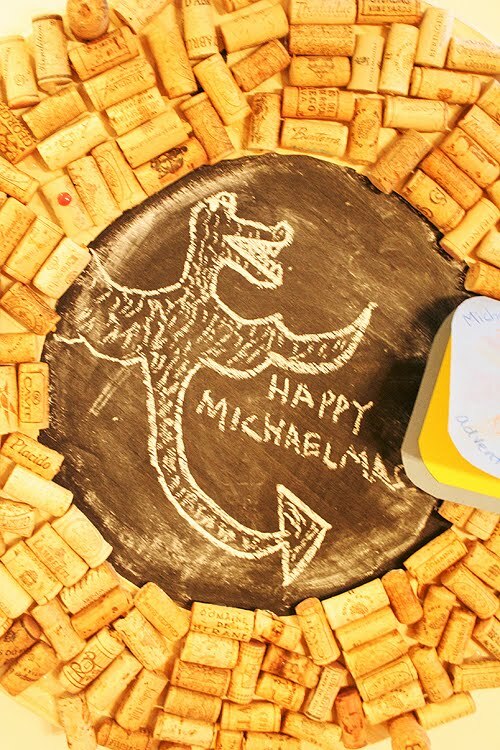 What a fun way to use your corks! And Happy Michaelmas! 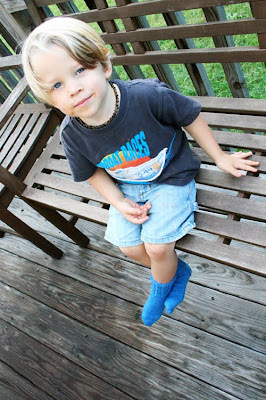 Those blue socks are wonderful!! I am also crazy about your cork board - we have saving ours and this is a wonderful idea. I have an award for you at my blog for all the sunshine you bring us. You are amazing! 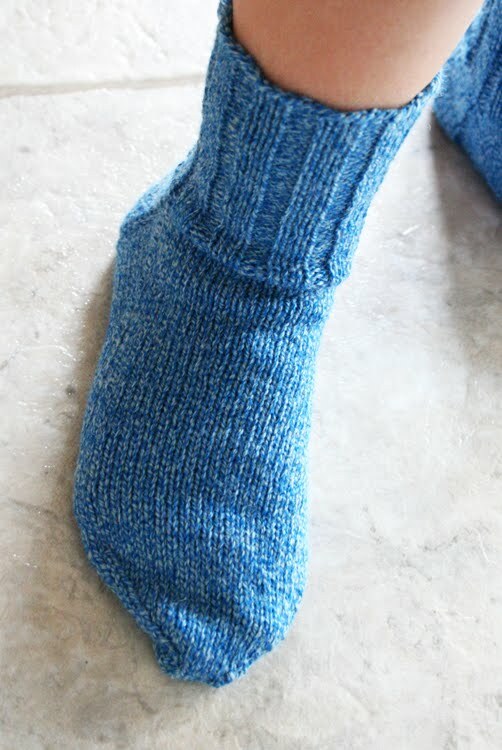 I don't know if I will ever be good enough to make socks. Your socks look great! 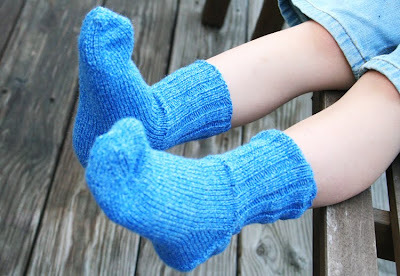 Lucky children to receive momma made socks.